with working net cannon, winch, and many accessories. Price is 48% below the initial Playmobil retail price, a € 20.75 discount! The Monster Truck with Alex and Rock Brock (9407) Playmobil set is available from the sites below. However, they do not offer delivery to your selected region. 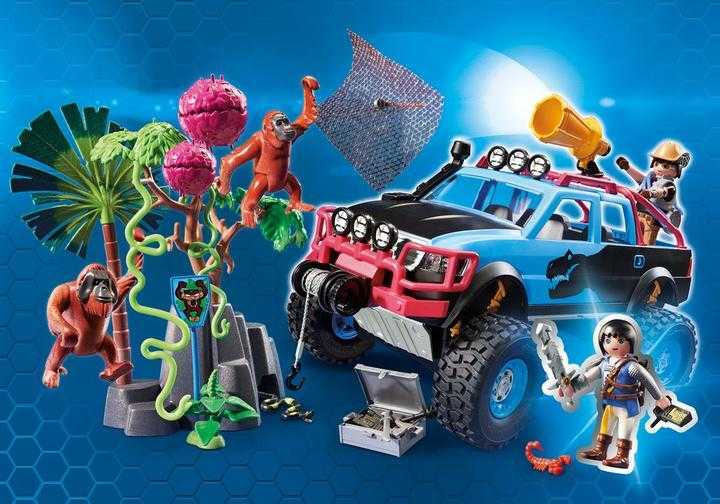 The Monster Truck with Alex and Rock Brock (9407) Playmobil set is no longer directly available from the sites below. However, 3rd party partners of these sites might still have the set available. The Monster Truck offers room for up to 4 figures. With a rope winch in the front. The spring-loaded offroad wheels adapt to every ground. The sword of Alex is extendable.